Welcome. Pictures of my Harmony, in case anyone asks. And for my new found friends at the Harmony Guys Forums. A big, huge thank you to k1w1, who has been so kind. 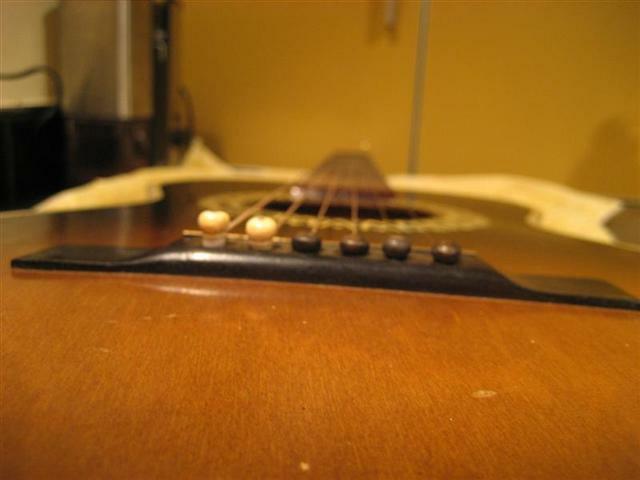 I'm a beginner parlor guitar country blues (and the odd classical) song finger picker. 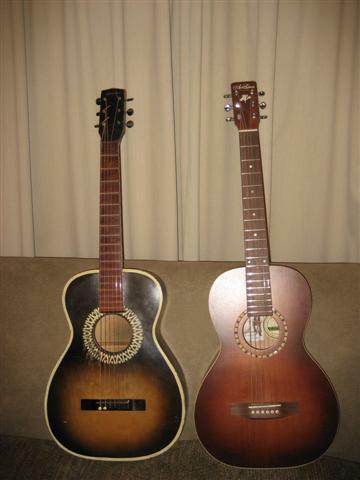 My two favourite parlor guitars to play are my Art and Lutherie cedar topped Ami and my new/old Harmony 1000. Tuners. 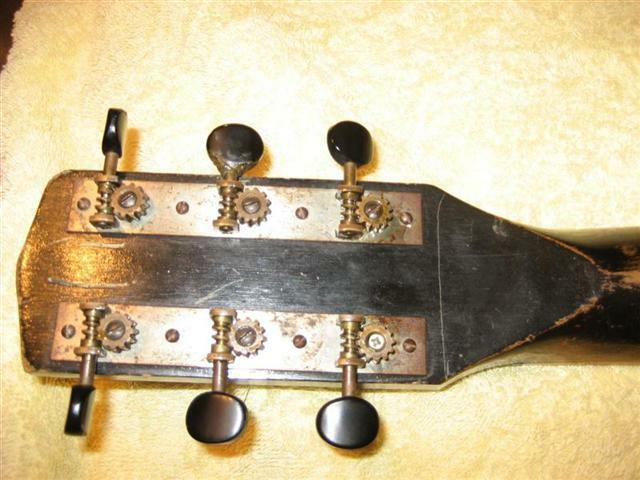 Note missing original screw. Serial Number, model. H1000. Sorry you can't see it better, this is hard to take a good picture of. 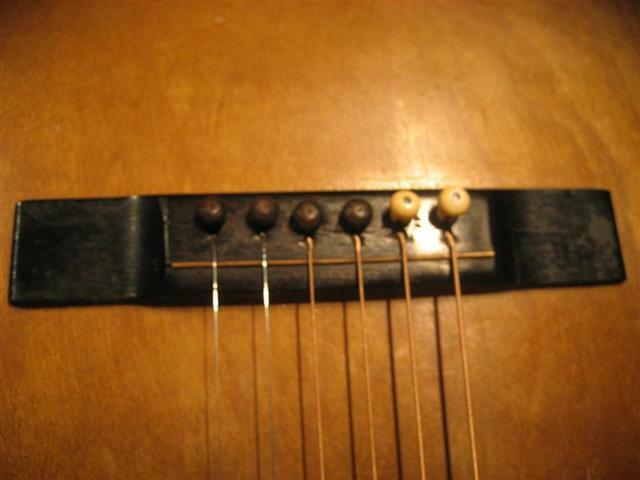 The Bridge, two unoriginal pins. 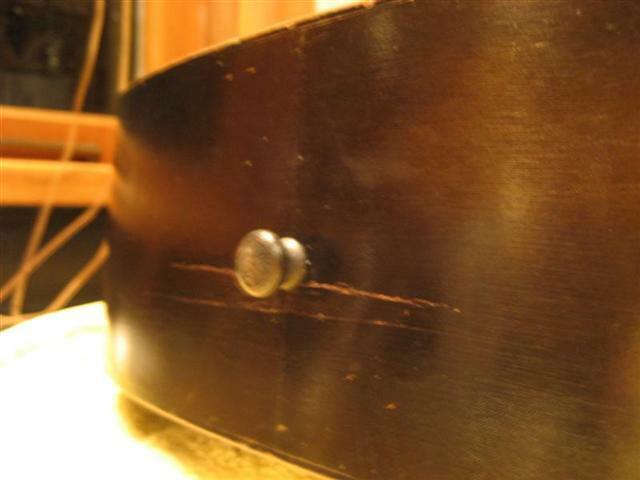 Wooden strap button and two small cracks, the only significant damage. 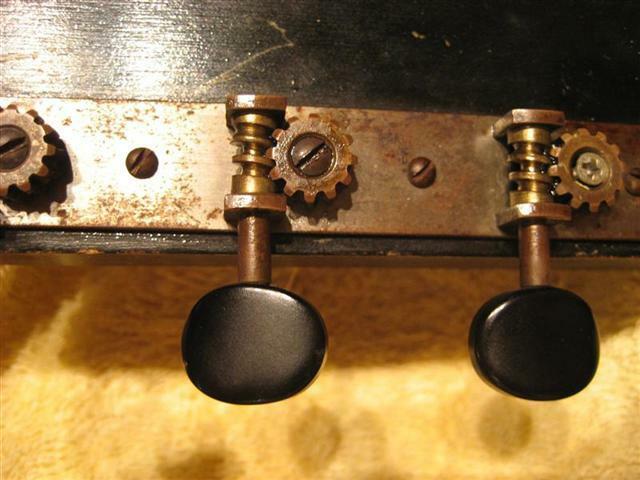 Tuners in full. That's a scratch on the neck, not a crack. The front. 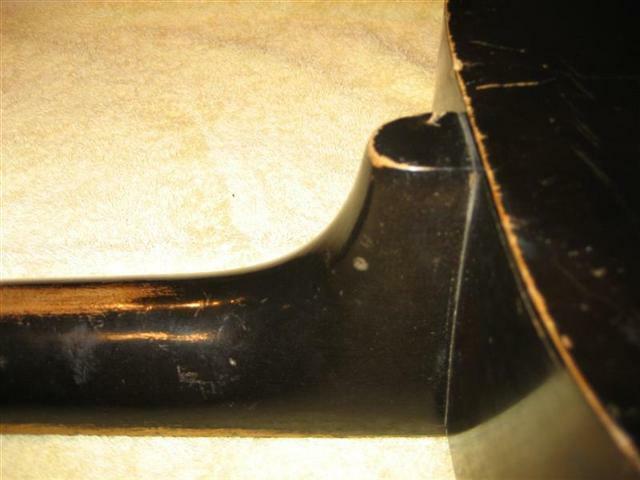 Icky finish on the fingerboard. 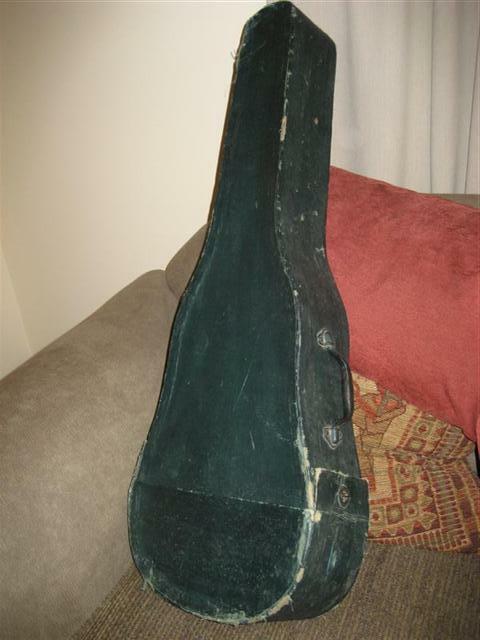 The bottom loading, original case, where this guitar has lived all it's life. 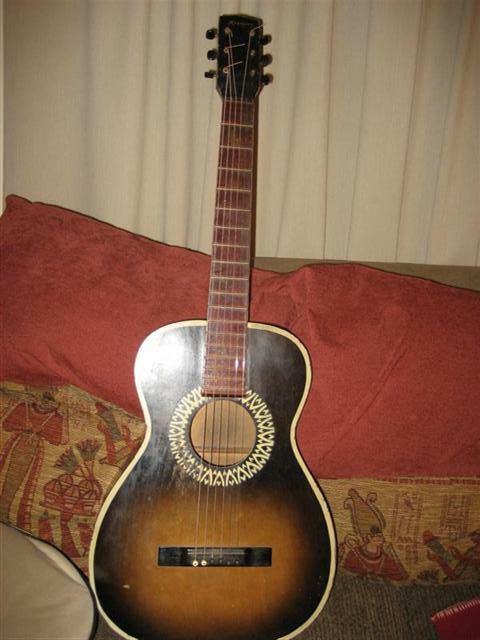 My two good pals, my Harmony and it's friend the Ami by Art and Lutherie. An excellent guitar which I highly recommend. 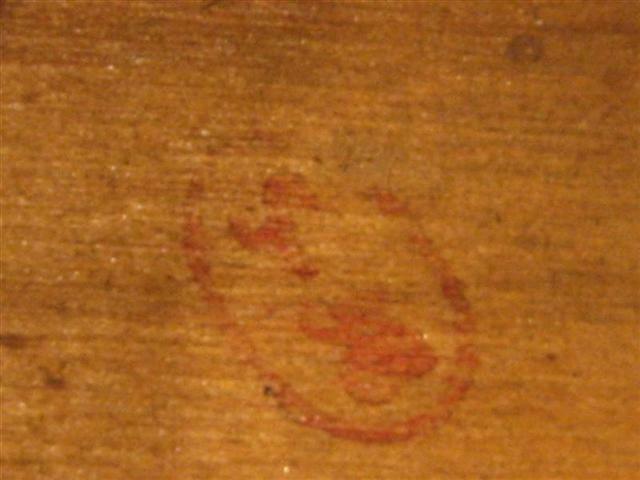 This Ami is the solid Cedar topped version. 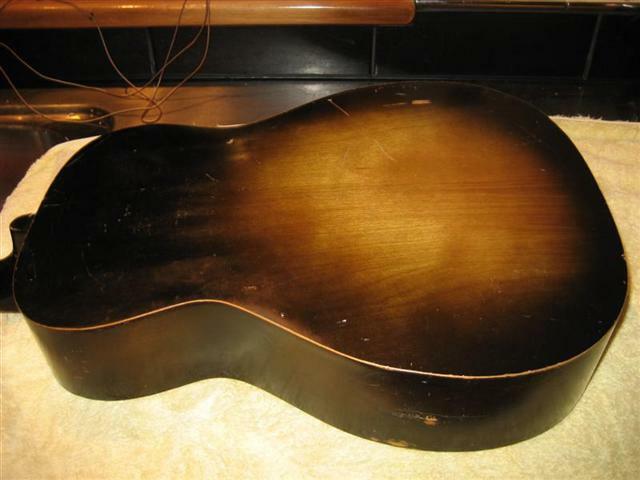 It also comes in a laminate cherry top or a solid spruce top. Guitars are like peanuts, you can't have just one. 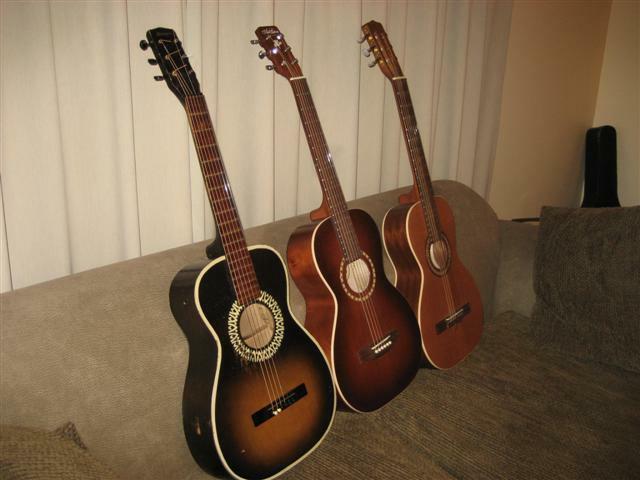 The nylon string one on the far right is a Motif, a solid cedar topped model made by La Patrie. 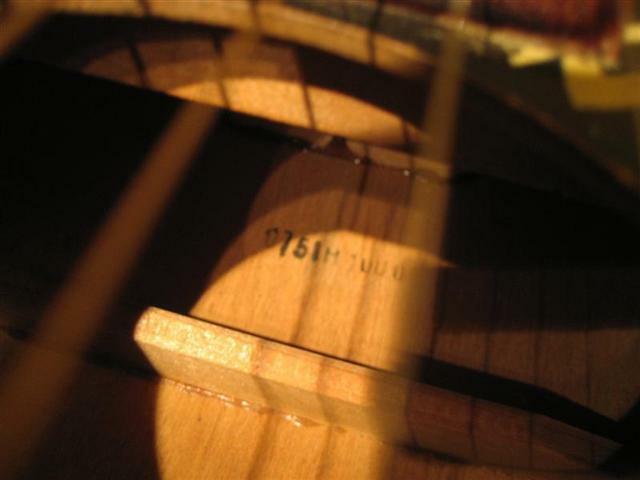 La Patrie, Art and Lutherie, Simon and Patrick, Norman and Seagull are all owned by Godin Company from Quebec, Canada. They make great sounding, affordable guitars. 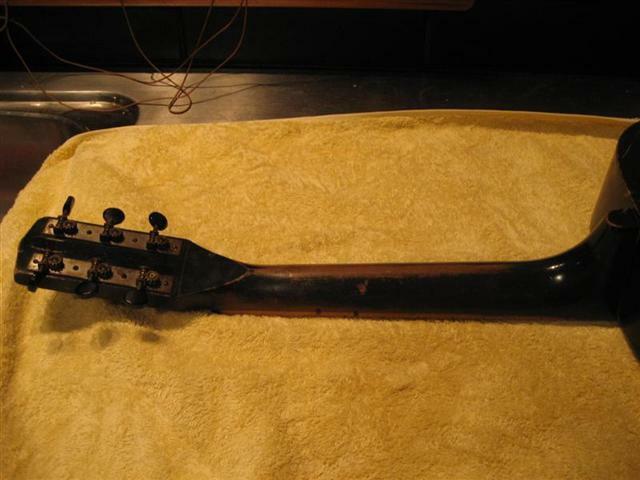 Want to see some Kamikaze Kitchen Lutherie applied to this guitar? 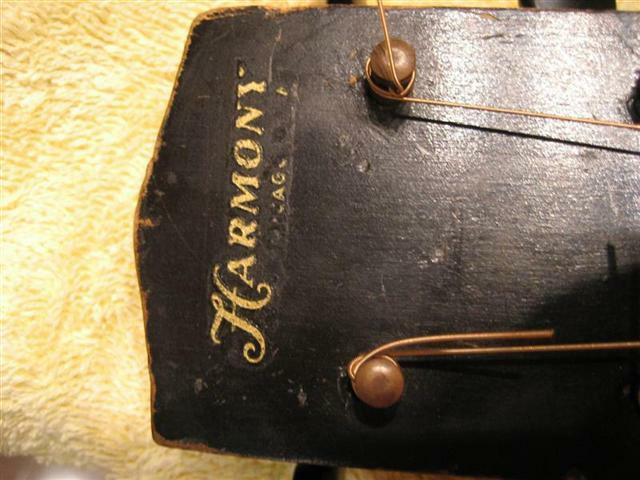 My harmony guitar lutherie page 3.